copyright © 2014 Douglas Tong, all rights reserved. “Well, I see the music,” she replied. “Yes, here is the music,” the girls countered, trying to give her the sheets again. “No, no. When I hear the music, I see it in my head… in pictures. It’s like a story,” she said. They were all flabbergasted. My wife said that this girl could listen to a piece of music once, then play it. But she couldn’t read sheet music. I guess it is like Mozart or Bach or people like that who can see the music or hear it playing in their head, unwanted and intrusively. In some cases, they are tormented by the music running through their head. They must write it down to get it out of their head. What does this have to do with martial arts? “Curriculum can be approached as story-telling… In every story, there is a skeletal framework which involves theme, characters, setting, plot, and resolution. Of central importance is the conflict of the story.” (p.9). I have some students who cannot for the life of them remember kata. They keep forgetting what move comes next, even though they have practiced it for a while. Or they interchange one move from kata with a different move from another kata. It all gets jumbled up and confused. For example, they will be practicing a kata, let’s say kata 2 for a month or so. Then we will switch to a different kata, let’s say kata 4, and do that for a month. Then maybe kata 3 for the month after that. Then we go back to kata 2 and they forget parts of it. 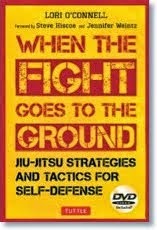 They either forget a move completely (i.e., draw a blank) or unknowingly interchange techniques or movements from different katas. I ask them why? They tell me that all the katas seem similar. Well, yes, they are all part of the same system so they will all share the same guiding philosophy in techniques and tactics. Anyway, you get the idea. My point is, just trying to remember a bunch of moves is like memorizing a set of random numbers, like a telephone number. After 7 digits, it becomes increasingly more difficult to remember longer strings of numbers. Why? Because they are essentially meaningless to you. I have enough difficulty remembering telephone numbers, especially if it is just someone I met and have no real association with. It has to have meaning for you. You will remember it better if it is meaningful. If a girl that you like gives you her telephone number, you can bet that you will have no problems remembering it. We remember stories. We remember movies, which basically are stories on film. A kata can be thought of as a story, more or less. Or like a movie. So how does this relate to what we are talking about? You can be a technician, learning the moves technique by technique. For example, technique 1 is followed by technique 2 which is followed by technique 3, and so on. Yes, you can learn kata this way and many people do. But my contention is that this is much more difficult way to learn it. Just keeping the techniques in order will be difficult. That’s because they have no meaning as just a number (example: technique 1, technique 2, etc…). Like a telephone number. Let’s look at it another way. Some people learn the kata by memorizing the techniques. Some people perform the kata technically, doing each move perfectly as it is written in the textbook. Others however, learn the kata by seeing it in their head, like a story. They perform the kata through “feel”. How do they know what the next move is? They figure it out because it just “feels” right, given the situation, the way this style likes to deal with this type of scenario, and the limitations of the style from a technical perspective (i.e., this style likes to cut in this fashion so they would never execute a cut from that trajectory, etc…). Is either method bad? No. Just different. But in terms of helping students to learn kata, perhaps one is more effective than the other. Question: Is the ability to write top-chart songs something that can be technically learnt by practicing, or do you need a genuine love for the music to be a successful songwriter? Warren: There are some writers who learnt how to write and then became successful, and others who just knew that they were songwriters and wrote songs. Both are credible. I knew that I was a songwriter when I was little and I was driven to be successful at that skill all of my life. School wouldn’t have been helpful to me except for learning piano chord skills for writing. I still don’t read music. In other words, she is not a technician. She doesn’t read sheet music. 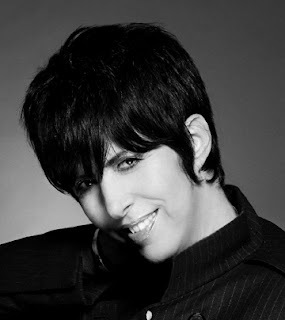 She doesn’t write the music note by note, constructing it in a technical fashion. She writes by “feel”. She writes from the heart. It is not contrived; it is natural. People know when it is artificially constructed. The music she writes moves people, precisely because it is straight from the heart. So how does this relate to martial arts learning and teaching? The next time your student is baffled by the next move in a kata or is not able to remember the next move, give him or her an exercise. Visualize the kata. Understand it. Feel it. Live it. It has to become a part of them. Like dancing. You can go through all the steps but at some time, to do it well, you have to just live it, to express yourself through it. Katori Shinto Ryu under the late Master Yoshio Sugino in Kawasaki-shi. Yagyu Shinkage Ryu (Ohtsubo Branch) under the late Master Masao Mutoh in Zushi-shi. Ono-ha Itto Ryu under Master Takemi Sasamori in Setagaya-ku, Tokyo. Muso Shinden Eishin Ryu iaido under Master Toshihiko Izawa in Fujisawa-shi. 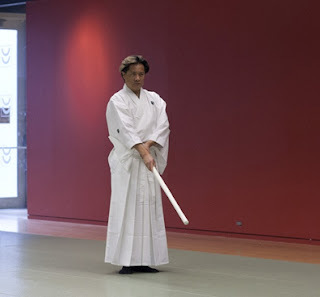 Mr. Tong has a nidan (2nd Dan) in iaido (Zen Nippon Kendo Renmei – All Japan Kendo Federation). He was tested at the Kanagawa Prefectural Gradings in Yokohama. Mr. Tong was the first to introduce the style of Katori Shinto Ryu (Sugino Branch) to Canada in 1994, and was the driving force in the growth of Katori Shinto Ryu in the province of Ontario. Mr. Tong learned Katori Shinto Ryu in Japan under the direct tutelage of the legendary Master Yoshio Sugino, who was the swordfight choreographer for Director Akira Kurosawa’s two most famous samurai films, Seven Samurai and Yojimbo. Mr. Tong began his study of Yagyu Shinkage Ryu under the late Master Masao Mutoh, the 10th soke of Yagyu Shingan Ryu Taijutsu (Edo-Line) and 2nd headmaster of the Ohtsubo Branch of the Owari Line of Yagyu Shinkage Ryu. He now continues his studies under Mutoh Sensei’s successor, Master Yasushi Kajitsuka. Mr. Tong is the leader of the official study group (keiko-kai) for Yagyu Shinkage Ryu (Ohtsubo Branch) in Canada under Master Kajitsuka. 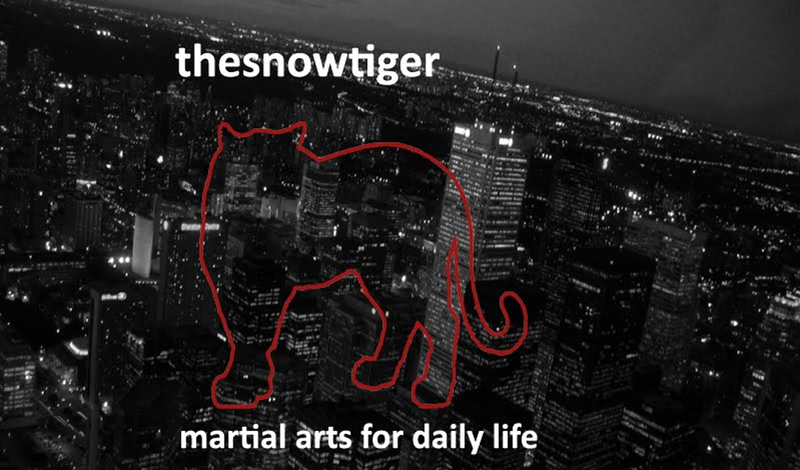 Mr. Tong teaches classes in kenjutsu at various dojos in the Greater Toronto Area (GTA). He also runs workshops annually for organizations such as Rapier Wit Stage Combat School, at martial arts expos like MMA Expo, and at fan conventions such as Anime North. Mr. Tong and members of his organization perform public demonstrations twice a year at the Japanese Canadian Cultural Centre for their Spring and Fall Festivals. Honoured to be a part of the largest annual gathering of the Japanese community from Ontario and upstate New York, they have been performing there each year since 2005. They also demonstrate at various local charitable events such as McMaster University Fencing Club’s annual fencing tournament (a fundraiser for McMaster University Children’s Hospital) and Anime North (fundraising for SickKids Hospital). And they demonstrate at local cultural events such as the Museums of Burlington’s Japanese Culture Day in 2014, which celebrated the 25th anniversary of the twinning of the two cities of Burlington and Itabashi, Japan. Tokumeikan is proud to be a part of these major cultural festivals and exhibitions of martial arts in the Greater Toronto Area. Mr. Tong is also involved with the Japanese community in Toronto, serving for years as one of the assistant kendo instructors at the Nikka Gakuen Kendo Club, as well as volunteering and helping out at the Nikka Gakuen Japanese School. In his professional life, Mr. Tong has a Master’s Degree in Education. He taught overseas in Japan. When he returned to Canada, he was employed as a lecturer and course instructor in the Department of Applied Linguistics at Brock University in Canada. He is currently a public schoolteacher with the Peel District School Board and is a member of the Ontario College of Teachers in good standing. Mr. Tong can be contacted via email at: tong@tokumeikan.org or at doug@dragonfencing.com.